Neato robotic vacuums have done a brilliant job of cleaning our homes for years. This is why we eagerly waited for the release date of their latest model. Let’s see if Neato Botvac D5 Connected Navigating Robot Vacuum lived up to expectations. The first thing that meets eyes is that Neato Botvac D5 Connected kept the same D-shaped design as previous Neato’s vacuums. There are minor tweaks to the color schemes, but that is all. However, there is no reason to change things that work well. The D-shaped design allows your robot vacuum to get close to the corners of your room. Coupled with the implemented side brush and the Corner Clever technology, Neato Botvac D5 can clean as close as 14 mm from the walls. Neato Botvac D5 Connected uses laser technology to scan all the rooms he ever visited. This allows it to steer clear of any obstacles, including furniture and stairs. Aside from that, LaserSmart Mapping & Navigation enables your robotic vacuum to plan the ideal cleaning path. We noted that its efficiency was somewhat better in the smaller rooms. This isbecause he does not focus enough attention on the center area of big rooms. However, he fixes that with multiple passes. This cutting-edge technology enables your Neato to clean in a swift manner. Coupled with the big dirt bin and its ultra-performance filter, you will get rid of dirt and dust as tiny as 0.3 microns. Neato Botvac D5 Connected has the default “Turbo” mode that demonstrates all its power. If you want to prolong its battery life or make it a little quieter, there is an “Eco” mode available. However, we advise you not to try it as it can lead to jams. The vacuum showed some excellent performance on carpet areas. This was due to the new combo brush which can also be very helpful in removing pet hair. Neato Botvac D5 Connected can clean up to 4.500 square feet in a single charge. This means your robotic vacuum can work up to 90 minutes before going to its station for a recharge. You do not have to worry about battery life, considering that Neato will know when the time to make a break comes. He will also find its way to the charging base automatically. Forget all the previous; this is the best improvement that comes with Botvac D5 Connected. The app is a remote control for the vacuum. You can schedule a cleaning or set it to make multiple passes if you think your floor needs more cleaning than usual.The Neato App will also show you cleaning statistics and is equipped with a Find Me Feature, in case you somehow lose the device. Despite it being a handy new addition, there is room for improvement within the app. For example, when something goes wrong, the app will just show an error status, without showing you the specifics. It fills our hearts that Neato lived up to expectations once again.Thanks to its performance, Neato Botvac D5 Connected Navigating Robot Vacuum wins the battle with iRobot Roomba 980, the only other gadget of this type that also features an app. 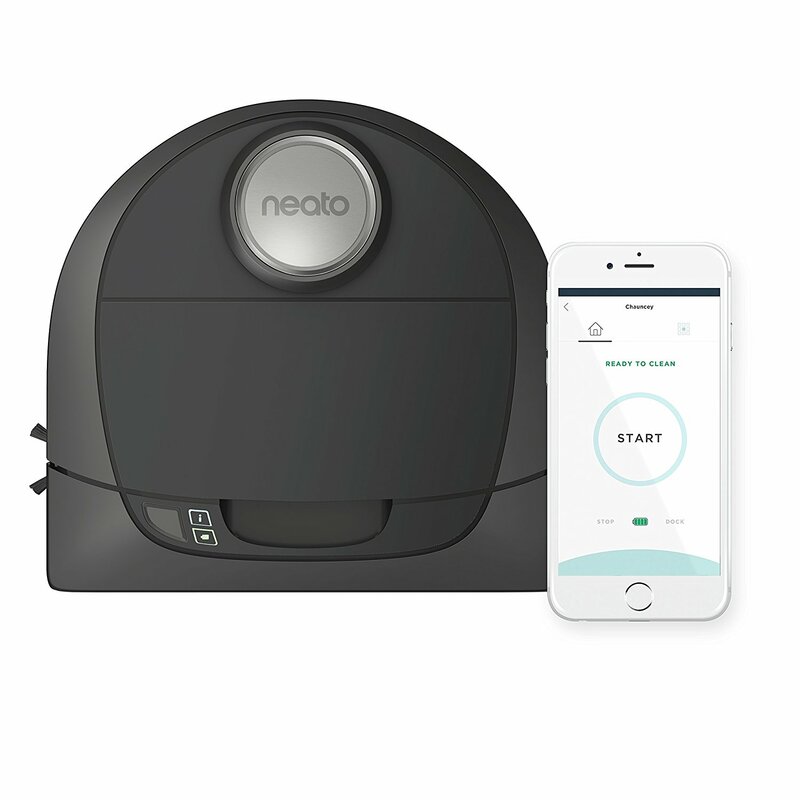 This makes Neato Botvac D5 Connected the best robotic vacuum currently available on the market.